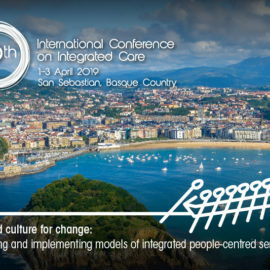 We are very pleased that the 19th International Conference on Integrated Care will take place in The Kursaal Conference Centre, San Sebastian, the Basque Region in Spain, from 1-3 April 2019. With the overarching theme ‘Evaluating and implement models of integrated people-centred services’, the conference is a partnership of OSAKIDETZA – Basque Health Service, Bioef, Ministry for Health of the Basque Government the City Council of Donostia/San Sebastian and the Provincial Council of Gipuzkoa. The conference will bring together researchers, clinicians and managers from around the world who are engaged in the design and delivery of integrated health and social care.